Every day it seems there are new stories, new predictions on the where and when for the announcement of the engagement between HRH Prince Henry of Wales and Miss Rachel Meghan Markle. The Succession to the Crown Act (2013) requires the first six in line to the throne to obtain permission to marry from the Sovereign. This legislation abrogated the Royal Marriages Act (1772), which required a lot more people to obtain permission. 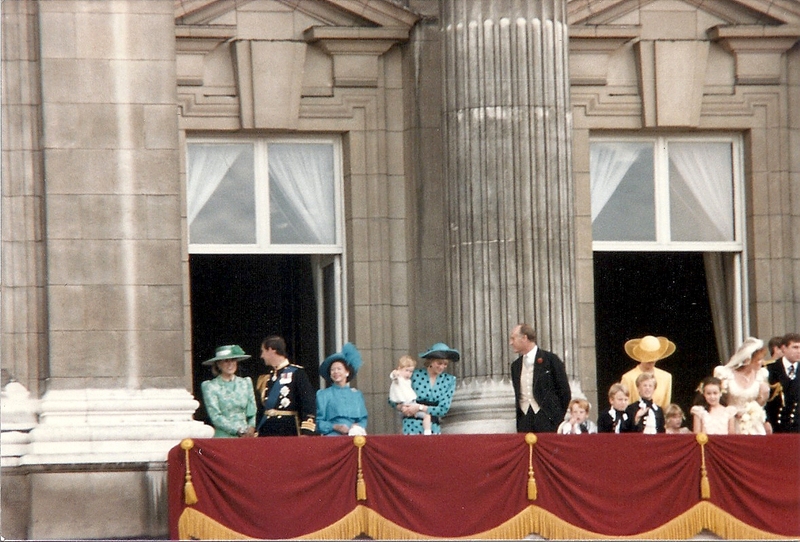 Prince Harry is currently fifth in line, following his father, the Prince of Wales, his brother, the Duke of Cambridge, and the his two young children, Prince George and Princess Charlotte of Cambridge. The Duchess of Cambridge expects a third child in April, and this birth will push Harry down one notch. He will regain a notch when his father becomes king. But Miss Markle cannot pick up and move to the United Kingdom without going through a few hoops. Marriage to a member of the Royal Family will not exclude her from these hoops. She will need to apply for a fiancee settlement visa. Prince Harry will be her sponsor, and he will have to prove that he can support her. He must earn at least £18, 600 per year for at least six months before filing the application. I think Harry will ace the financial requirements. The sponsor will also need to have "suitable accommodation" in the United Kingdom. I don't see any problem with this requirement. As Miss Markle comes from an English-speaking country, she won't be required to "pass a mandatory English language test" before filing the application. During the six month period, Miss Markle will not be able to work in the United Kingdom. After the wedding, the royal bride will have to apply for a marriage visa. This visa lasts for 60 months, and renewed at 33 months before she would be eligible to apply for what is known as "Indefinite Leave to Remain." The requirements for this application are strict, but after a year of this application, Her Royal Highness will be able to apply for UK citizenship. The United States does not recognize dual citizenship but accepts that other countries allows for dual citizenship. This means that Meghan would not be required to renounce her United States nationality if she chooses to become a British citizen. She will not be entitled to a British passport until she acquires British nationality. I have no doubt that Miss Markle will have no issues with her visa applications. Is Ms. Markle required to become a British citizen? No law, but it would be bad form I think after the five year period and become a permanent resident to not become a citizen when you are representing the country. I was just wondering if Ms. Markle would be more like Mr. O'Neill in Sweden, but since the British are more high profile, I imagine not. She does not have businesses to run. She will be giving up her minor acting career (She is not A list) and will become a working royal. Thank you. It's nice to have such a knowledgeable source for something that is only my hobby.